The Chair of SME Development and Succession was established in May of 1998, with funding from Fonds de Solidarité FTQ, l’Ordre des administrateurs agrées du Québec (ADMA), the Canadian Economic Development Agency for Quebec regions, Hydro-Québec, Bell-Canada, and PricewaterhouseCoopers. The chair was established to promote the development and continuity of small and medium-sized Quebec companies that have proven to be so central to job creation in the province. Contributing to knowledge about these enterprises in order to ensure their continued health and growth was central to the original purposes of the chair. When the chair was founded, its primary focus was on applied research, management development, and the diffusion of practical knowledge to managers of smaller enterprises in Quebec. The first chairholder was Mrs. Louise St-Cyr, an Associate Professor in the Finance Department, who assumed her position on February 1, 1999. During her term (1999-2010), the chair pursued three major initiatives: the development of small businesses (their management, growth and financing), female entrepreneurship, and effective managerial succession from founding to later generations. St-Cyr, L. et Richer, F. Préparer la relève. Neuf études de cas sur l’entreprise au Québec. Montréal, PUM. 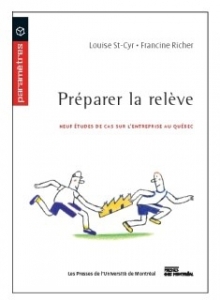 St-Cyr, L. et Richer, F. (Eds.) 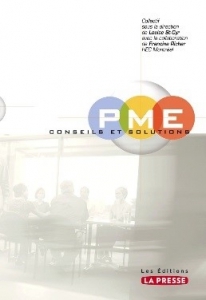 PME : Conseils et solutions. Montréal, PUM. 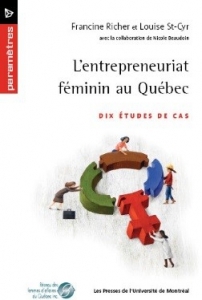 Richer, F.; St-Cyr, L. et Beaudoin, N. L’entrepreneuriat féminin au Québec. Dix études de cas. Montréal, PUM. On January 1, 2012, Isabelle Le Breton-Miller, Professor in the Department of Management, was selected by HEC Montreal to be the new chairholder. The chair has now primarily become a research-oriented initiative, and in line with its current mission and research themes, it has been retitled Chair of Succession and Family Enterprise.